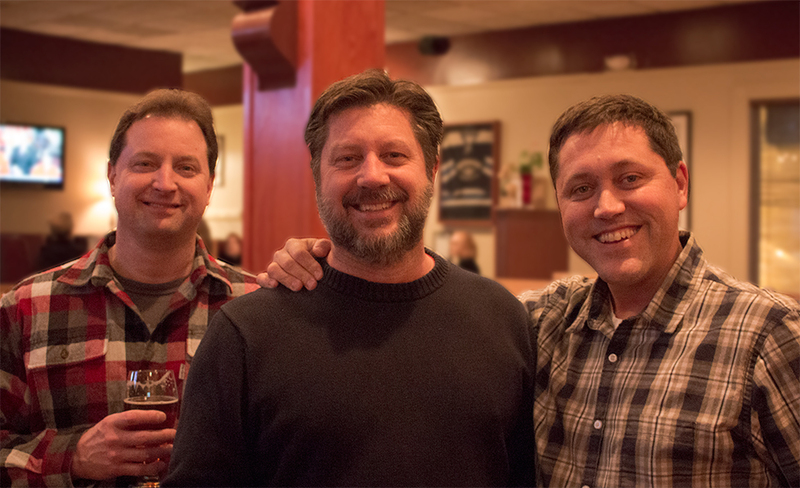 We poured our first beer at the original Sebago Brewing Company brewpub in 1998. We are three guys who want to create a great place to work. We are honored to be a local Maine favorite, known for our commitment to community, awesome staff, and creative craft beer and food. Wherever you’re enjoying Sebago beer, our goal is to make sure you are having the best experience possible. That is our commitment to you and our commitment to craft beer. Now drink up, there’s more to come. Cheers! Our talented brewery staff brews and cans our entire lineup of high quality and creative craft beer available all over New England. We are constantly working to brew consistent and quality beers that push the boundaries of craft beer. Sebago has remained a small, locally owned and operated company since our first pint in 1998. 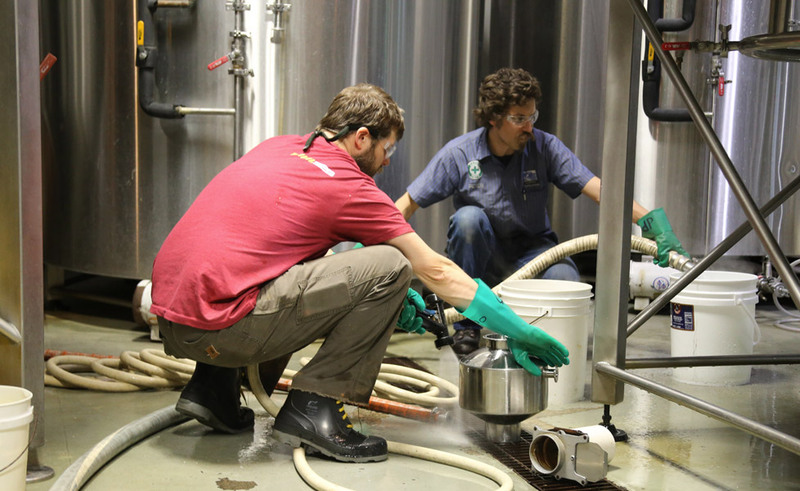 We are active members of each community our brewpubs serve – Portland, Scarborough, Gorham and Kennebunk. We continue to support local farms, fishermen, and produce vendors. Sebago Brewing Company actively supports local charities, volunteer and fundraising efforts throughout the year. We are lucky to call Maine home. At Sebago Brewing Company, we pride ourselves in knowing how to have a good time. No, a great time. 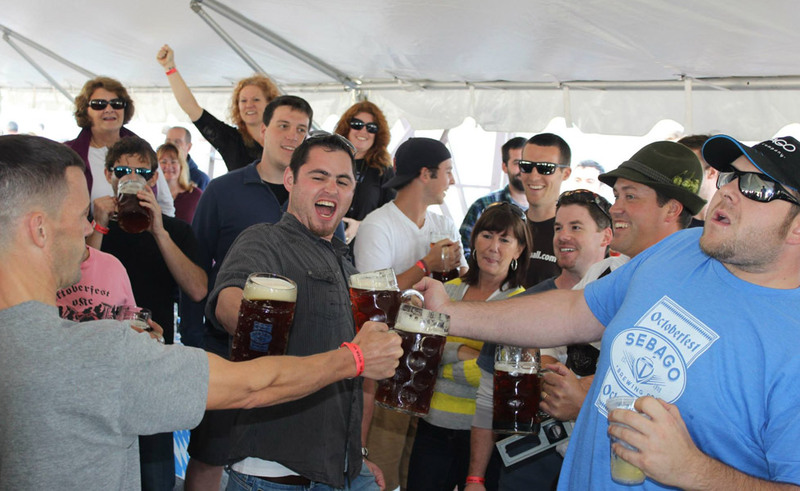 Whether we’re cruising around Sebago Lake, brewing up a fresh batch of Frye’s Leap IPA, grabbing a pint after a long coastal bike ride, or enjoying the crowd at a brew festival, Sebago beer is Brewed for Times Like These. We believe that the best people are beer people and are proud and honored to be a part of the community. Cheers!